"...Absolutely adored it. ...amazed at (author's) talent for character development and truly good story telling. I felt like I was a part of the adventure every step of the way and could really connect with the characters and their situations. The (author's) ability to engage readers and alter their perspective is the gift of a true writer." - Ellie Moller. "Must read! This book is a full package of emotions: sadness, anger, fear, romance just to name a few. The story itself is very unique and intriguing and makes you want to keep reading to find out what's next to come. The way the book is written doesn't even need illustrations; the author paints the pictures through his words. This book definitely went beyond my expectations and makes me eagerly wait for the next one in the trilogy." - K, Sarmini. "Children of the Shadows ... a gripping fiction novel that immerses readers in an intriguing and fantastical story that explores the dark side of rituals and a woman's search for justice for herself and her children. Readers of all ages and backgrounds will quickly find that they are glued to the pages as they follow Nkem's flight and search for safety. ...expertly combines fiction, fact, and supernatural elements that will spark readers' imaginations and create a fast-paced narrative that is sure to have readers on the edge of their seats to see what happens next." - Ashley Pascual & Jade Robertson of Austin Macauley. 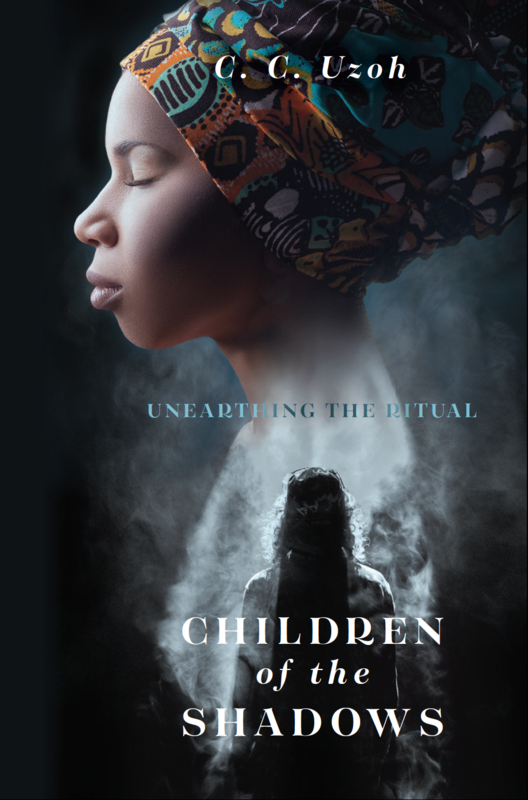 "C. C. Uzoh’s Children of the Shadows is a suspenseful and dramatic fantasy novel that questions what people will sacrifice for survival and power... The writing is beautiful and poetic, with ornate language and drawn-out sentences that increase the novel’s drama. Italics differentiate Nkemjika’s personal thoughts from the narration. Descriptions bring locations to life through sensory language and abundant imagery... The novel is the first in its series, and the end leaves some characters and questions pending, but the main story arcs are clearly and satisfactorily resolved. Children of the Shadows is a unique, emotionally stirring fantasy novel focused on faith and family." - Delia Stanley, Foreword Clarion Reviews, 4/5 stars. Name: Peta-Ann Daley; Comment/Review: I was thoroughly entertained, and I can't wait to see what happens to the characters in the next series. The author did a good job of concealing the plot and it kept me reading to see what was around the corner. It's a blend of fiction and reality which adds to the adventure for me. I wasn't sure I'd enjoy a book about rituals, but I did!! Name: Margaret Olaniran; Comment/Review: This book was beyond what I imagined, it was quite intriguing. I can’t believe Dike's father died just like that. Adaku is indeed a leopard, I didn’t see that coming at all. Looking forward to Nkem's love story in the next book and hopefully the king gets to suffer for all he has done. Name: Mary; Comment/Review: The writing is quite literary and filled with detailed descriptions that cover all senses. There is an elegance to the writing. Superb title and subtitle. It grabbed my attention immediately and then later when I realized what it meant, it seemed just perfect. The prologue is intriguing; establishing the overall situation of stress, tension, grief and loss without giving away too many details and pulling me right in, making me interested in learning more. The tension is maintained right through chapter 3 and onwards through chapter 5. Nkem is a fascinating character; with a sharp questioning mind, she is wary, tries to keep peace and is aware of the wrongs being perpetrated as well as her rights. The way the chapters rotate between the characters is masterful. Chapter 27 produces yet another twist! The level of palace intrigue and power-mongering among the chiefs is really something. The fight scene in chapter 51 is action-packed and full of tension! This story is not slowing down one bit! And the suspense after that was set up beautifully. Great ending to the book with lots of threads left to be picked up in the next instalment. Great to also have the first chapter of the next book as a teaser. The book is intriguing on so many levels! The characters are very well developed; the story arc is consistently strong; there is lots of tension, suspense and intrigue. A fine story that was an absolute pleasure to read.